The Bourne Supremacy is a hilly 68 mile / 109km ride taking in the Bourne Valley and the North Wessex Downs before heading back via Abbots Ann and Longstock. Climbs of note are Faccombe, Combe Gibbet and Conholt. 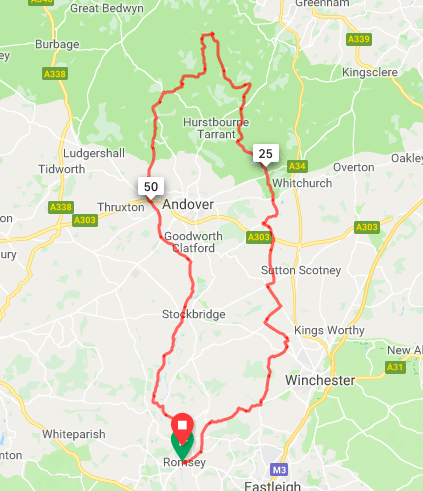 Having worked your way over these, the last 20 miles should whizz by, starting with the long descent off Conholt and gradually levelling off, with the only lump being the climb north of Longstock.